Every year we can, we go to the Solstice Parade up in Seattle’s Fremont neighborhood. Since this blog is rated G (ok, maybe PG) I won’t post photos of the body painted pre-parade bicyclists, though I admire their joie de vivre! 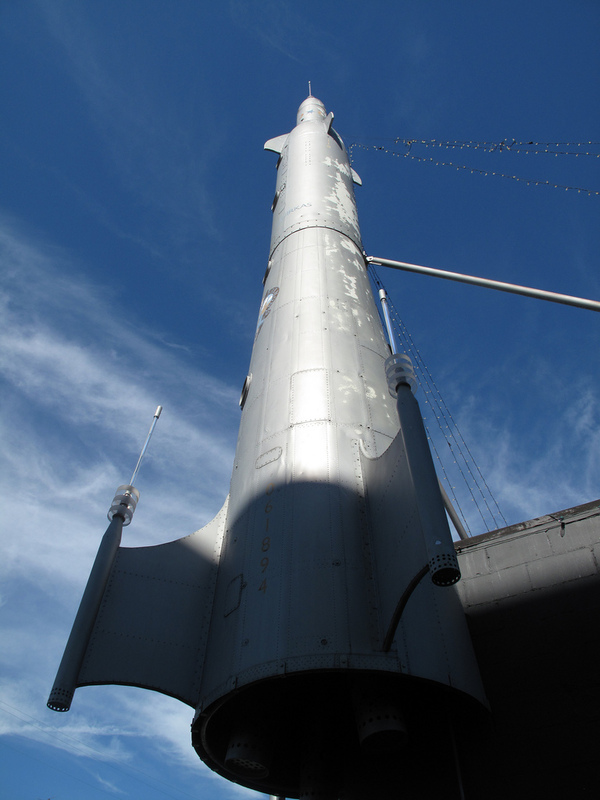 Instead I focused on the 53′ Cold War era Rocket on the building at the corner of Evanston and 35th Street. 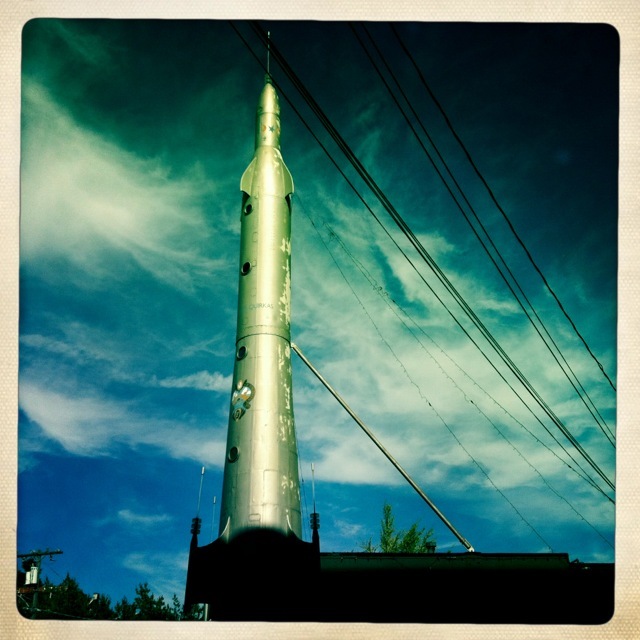 In 1991 the rocket was deemed quirky enough for the off beat neighborhood and in 1994 it was installed. This entry was posted in Art -- there is art here!, Seattle, WA State - King County and tagged Fremont, Parade Cold War, quirky, Rocket, Solstice on June 22, 2013 by admin.